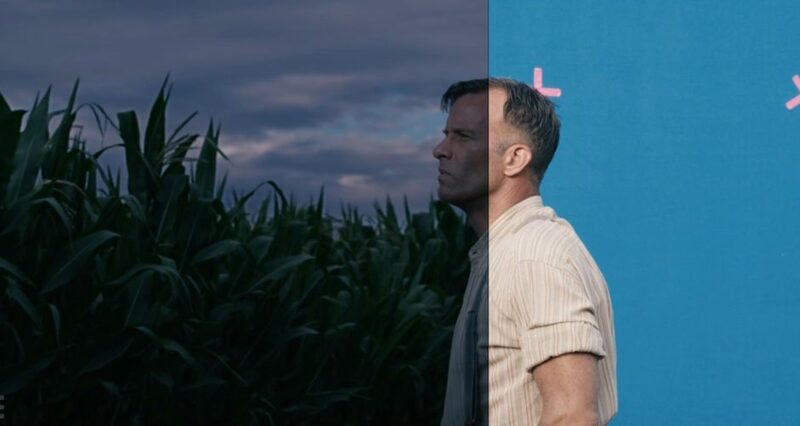 Western Australian production house, Siamese have released behind-the-scenes images and clips showcasing their post-production work on the Stephen King Netflix adaptation 1922, written and directed by Western Australian Zak Hilditch and produced by Ross Dinerstein. 1922 was shot in Vancouver for the American Midwest, with much of the transformation required for this period piece was undertaken by Siamese. Siamese’s Merlin Eden began editing the film in a Vancouver facility while simultaneously supervising VFX on set. Once principal photography was complete, he and Zak returned to Perth to continue editing at Siamese’s studio in Mount Lawley. While this was taking place, VFX design began with another Siamese team. The film was shot around the immediate vicinity of Vancouver city with only one untouched 1920’s era farmsteads nearby and no surrounding farmland or cornfields. The challenge for the VFX team was not only to place the film in 1920’s Nebraska, but to represent various seasons including summer and a blizzardy winter. Overseen by Siamese’s Andrew Buckley, the large variety of work required meant that each shot often presented challenges to be solved with various techniques and software. As the bulk of the work was landscapes and Siamese agreed that realism was paramount and filmed as many elements as possible with plate shoots undertaken in Boort VIC, Gingin WA, and at local Perth Studio, ‘Fridays’. Merlin had the opportunity to be in LA while the final VFX were delivered and the film was graded at one of LA’s top facilities, EFILM who were at the time just finishing Star Wars: The Last Jedi and Blade Runner 2049. 1922 has been well received on Netflix and Siamese have received praise for the invisibility of their work. Their work on 1922 proves that international borders do not get in the way of fantastic filmmaking. Siamese have partnered with Flying Bark Productions for animated feature 100% Wolf.